Click HERE to watch an E85 Track Test. The most powerful E85 carburetors on the market. This superiority is no fluke, we have a deep background in E85 development. In the early 1990’s, Pro Systems was hired by the Dept. of Energy to do the E85 carburetor development for a racing series (also funded by the Dept. of Energy) to employ E-85 as a viable racing fuel. E-85 is an excellent alternative to gasoline in power output and engine cooling capabilities. Typically showing a 2-5 percent “Real World” improvement in power over most gasolines. 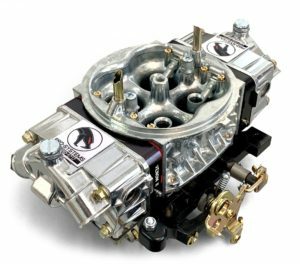 Our E85 tunnel ram carburetors currently hold the record as the highest naturally aspirated design on the planet at 1264 h.p. and that’s through the mufflers!! Using E-85 as a fuel we have exported Drag race, Road race and Circle track E-85 designs to European markets for over a decade. So our background with the fuel is very extensive and now that its popularity in the U.S.A. is gaining you can be ensured that our programs are developed and ready to go, not a work in progress for you to sort out on your time and your dime. Chris Orr uses a pair of SV1’s on E85 to go in the 8’s AND to win the Byron Wheelstand Championship..Throttle Responsive? YES!! He was FOOT BRAKING the car off the line!! 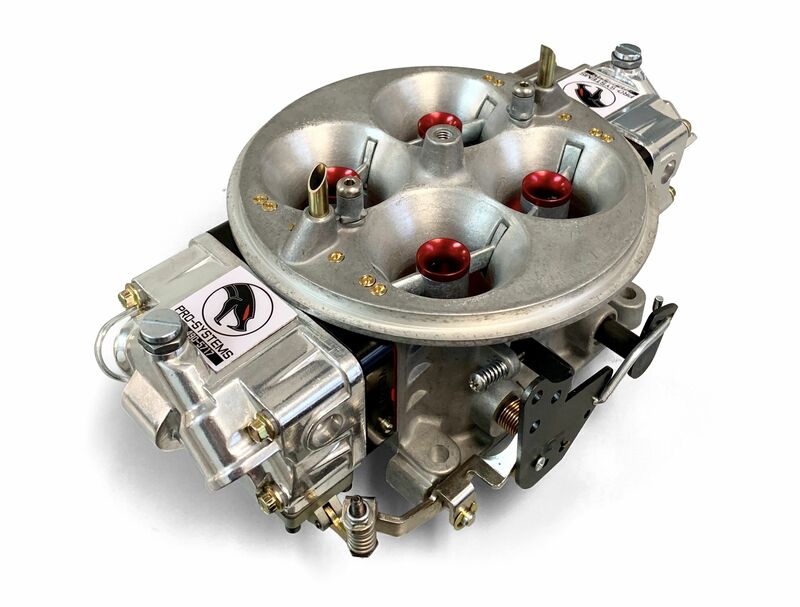 If E-85 is your fuel of choice, then our E-85 carburetor program is the way to go racing. Be aware however, that in the U.S.A. (unlike most foreign markets) E-85 is not locked at a set blend percentage (it is altered with the seasonal changes and we have measured variances as low as 80 and as high as 92 percent for just the summer blend percentages). This fuel requires percentage checks to be sure your fuel is compliant to your carb calibration. So if Alcohol fuel is an option in your program, I would certainly give it some consideration as the power output of alcohol is typically 4-10 percent higher than most gasolines and typically 2-5 percent higher than E-85. But if E-85 is still your choice (it does have great cold start properties as compared to alcohol and the price is excellent), then just like our Alcohol program, our E-85 program incorporates modifications to reduce or eliminate the dilution of the engine oil that occurs in E-85 fed engines and the complexity of the required fuel systems in the higher horsepower programs. 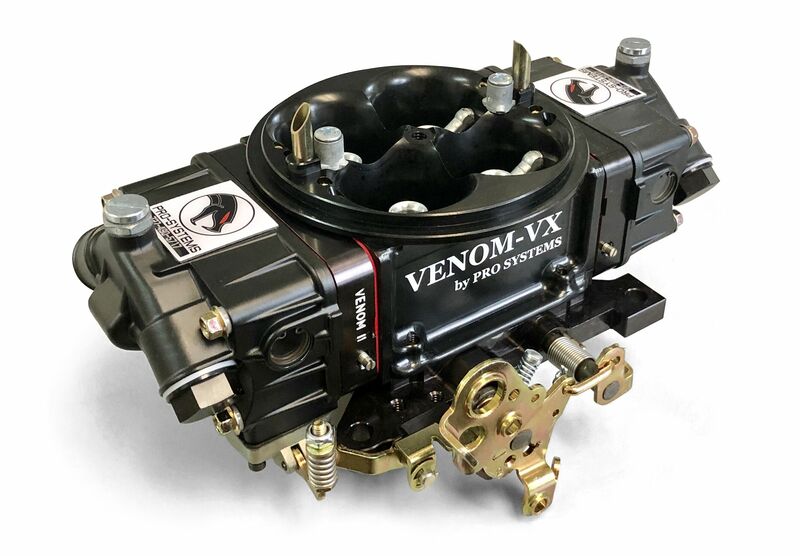 Another dyno session performed and monitored by the folks at A-Team Speed Shop in Tinley Park, IL (708) 633-1320 comparing our E85 carburetor design to four other competitors designs showed our 4150 design to be the winner by over 15 h.p. on a 700 h.p. engine package. Using one of our test team engines as a mule for our newest Dominator designs, a 950 h.p. 565 engine showed an increase of 18 h.p. when switching to E85 as a fuel from a very well developed gasoline program. Our 3300 lb, 12:1 compression Dart 325 headed 540 c.i. development car (see above video) consistently runs mid 9.60’s on Gasoline, mid 9.40s on E85 and low 9.30’s on alky. These results seem very typical, when comparing a good gasoline carburetor against a good E85 carburetor versus a good alky carburetor. Our SV1 shows on average a gain of around 10 h.p. (on a 700 h.p. engine) over our Dominator program. But at a little more expense. So review your program needs for best return on investment. 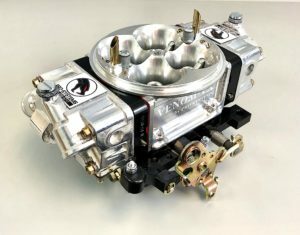 Our E-85 carburetor and variable regulator combination (variable regulator system required for programs above 800 h.p.) 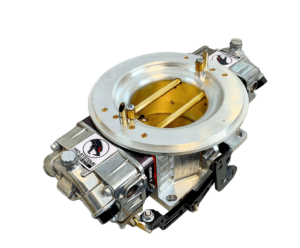 offers deadly consistent performance, clean idle/part throttle operation and quick and easy installation. Simply install the carburetor and regulator, hook up the vacuum hose, set your fuel pressure at 8 psi and you’re ready to go E-85 racing. Now you’ve got a variable fuel pressure system that keeps the bowls full and the fuel curve proper. 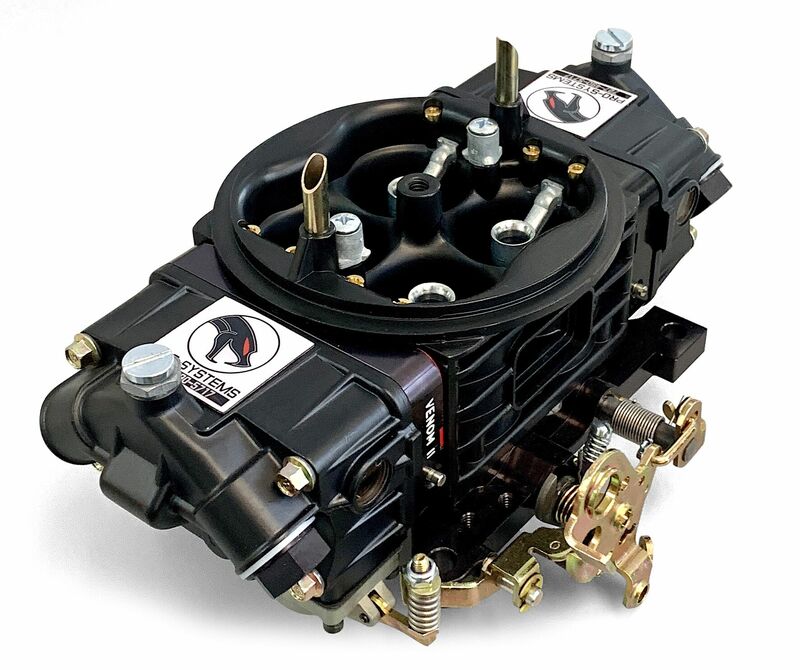 This variable regulator program is typically not required on engines below 800 horsepower. 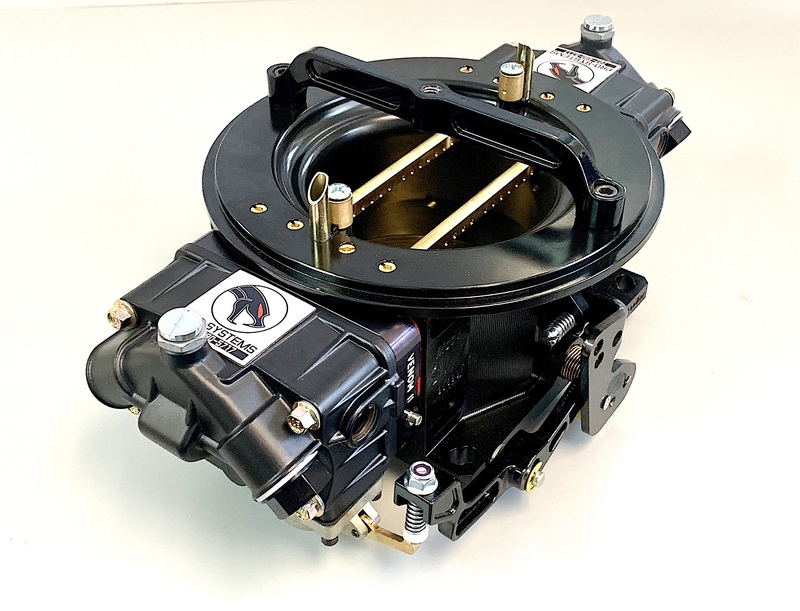 Every carburetor is wet-flowed (includes wet-flow portfolio for easy jet selection), live tested and fuel curved for your application and intended use. This track tested and proven combination is the best way to go Street, Bracket, Road race or Circle track racing. Also available without regulator for as low as $1,250.00 (shown w/ available air cleaner bracket). 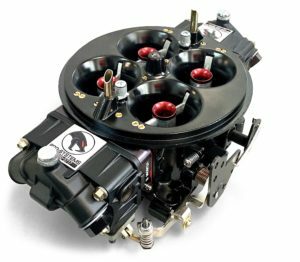 Complete E85 Dominator Package (Carburetor and Vacuum operated regulator) priced as low as $1,190.00. Complete E85 4150 Series Package (Carburetor and Vacuum operated regulator) priced as low as $890.00. Available for Street, Drag Racing, Circle Track, Road Racing and Marine Racing applications.